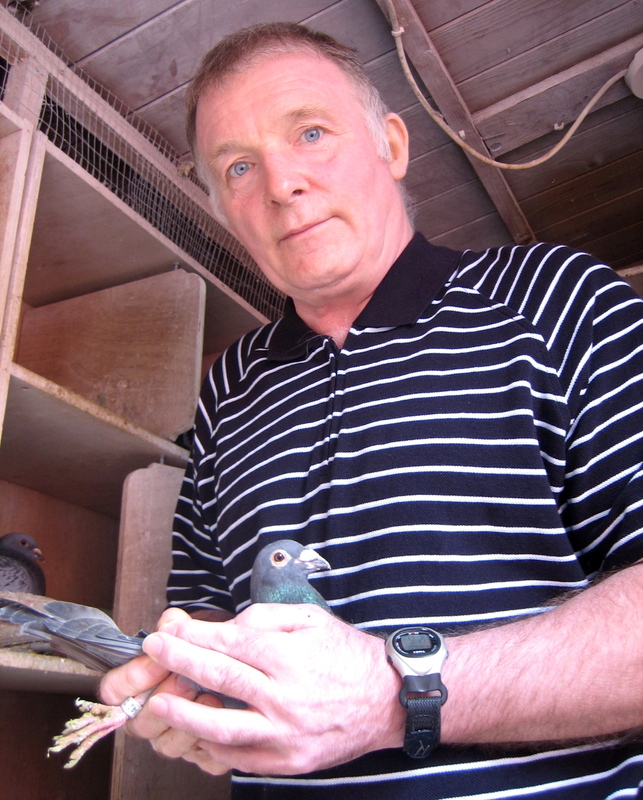 With the pigeon racing season commencing on 10th April, I took the opportunity of an introduction to the sport kindly extended to me by Albert Stratton, secretary and clock setter of the Kingsland Racing Pigeon Club, which has been established for over a century. Ever since I read Dickens’ description of the pigeon lofts in Spitalfields in 1851, I have been curious to discover whether anyone keeps pigeons here today. So I was delighted to find Albert in the garden of his house beside Weavers Fields in Bethnal Green, where he has two sheds filled with pigeons, and learn that the venerable East End culture of keeping homing pigeons is alive, nurtured by a small group of fanciers. Albert is a powerfully built man with a generous spirit, who becomes lyrical in his enthusiasm when talking about these familiar birds that are as mysterious as they are mundane. Commonly considered pests, pigeons are so ubiquitous as to be almost invisible, yet if they were rare maybe we would prize them for their fine plumage and astounding navigational abilities – just as Albert does. “When I was fourteen, growing up in Shoreditch, I was walking through the flats one day and there was a pigeon on the floor, as skinny as you can get. He had a ring round his foot, so I took him home and my dad said, ‘It’s a racing pigeon, you’ve got to let it go because it belongs to someone.’ Then we found it couldn’t fly, so he said, ‘We’ll keep it on the balcony and build it up until it can fly.’ But when we did let it go, it flew up in the air and back into the box – and after that I became fascinated with pigeons and how they will stay with you. 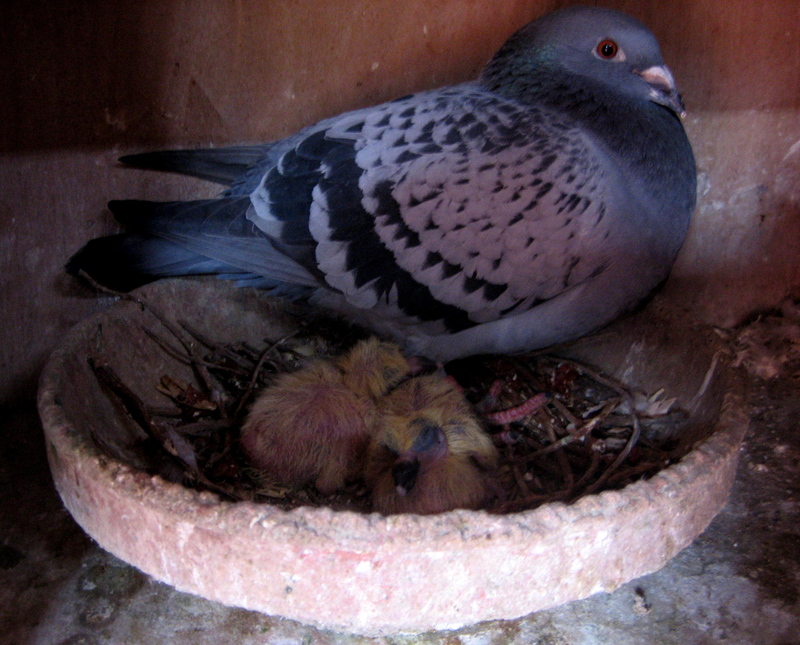 We moved to the Delta Estate and had a flat on the top floor with a big balcony, and when I found four Tippler pigeons (which are fancy pigeons not racers) abandoned, I took them home and kept them on the balcony in crates with wire netting on the front. I used to let them go out and fly, and they’d come back. Then, when we bought the house in Bethnal Green, we decided to keep racing pigeons. We built two sheds and had six babies delivered by courier from the Maserella stud in Leicester. In 1983, I joined the Kingsland Pigeon Racing Club and my first year’s racing with them was 1985 and I won fourth place in the club which gets you into the prize money. And you think to yourself, anyone can do this – but you find out later, it’s hard. 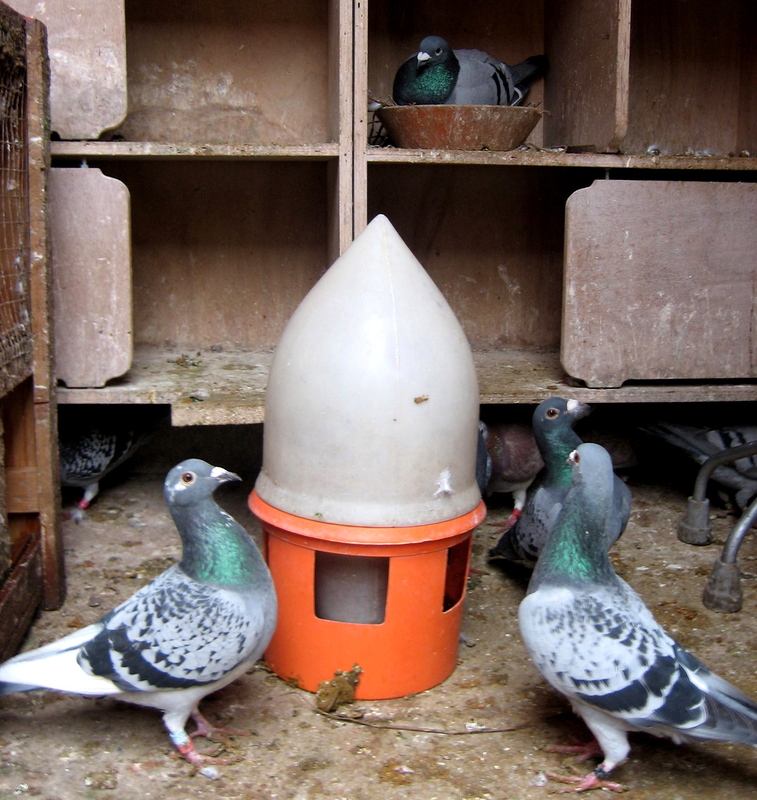 You’ve got to keep your pigeons healthy and fit – spot on. Sick pigeons can’t race. You’ve got to train them to build up the muscle and the fitness. 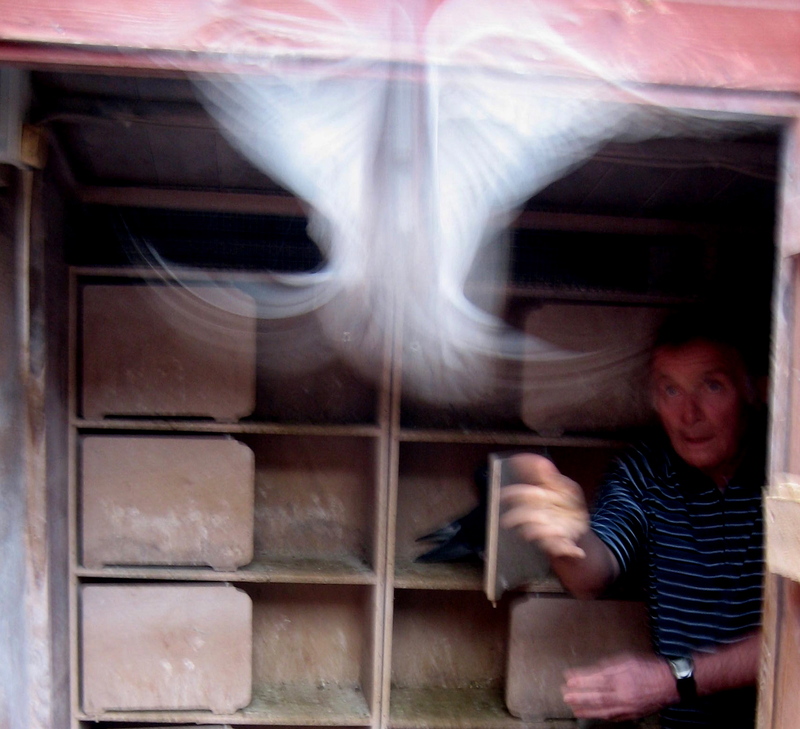 Pigeon racing is like horse racing – the money is in the breeding not the racing. 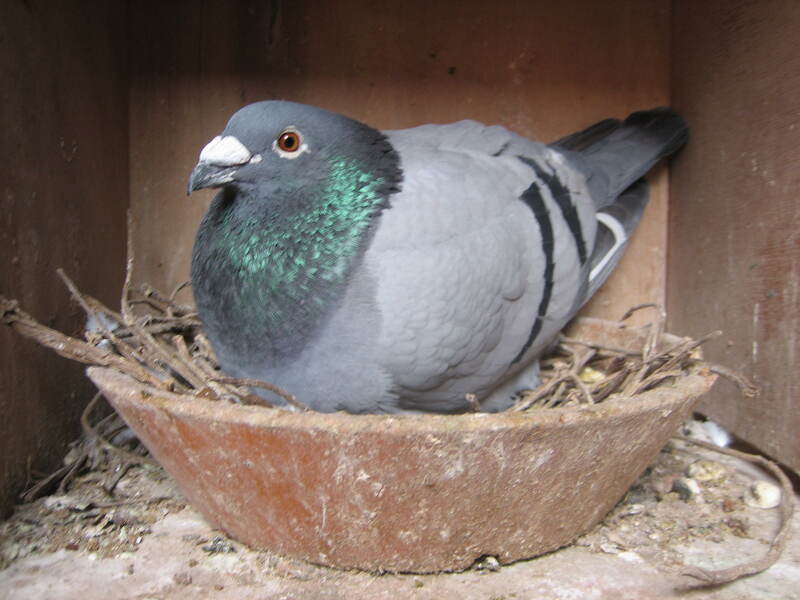 You pay to breed from the winners, studs buy up the winning pigeons and then sell off their young ones. We start the season on 10th April at Peterborough, from there to my house is seventy-one and half miles. After that first race, we carry on in stages of thirty miles between each race point, moving up the country. Newark at one hundred and twelve and a half miles is the second race point, and after fifteen weeks we end up in Thurso at five hundred and seven miles North of here. Before the race, we all go round to the club headquarters in Mr Hamilton’s garden, where we mark each pigeon with a numbered rubber band. Then we synchronise our clocks. Once the pigeon arrives home, you take the number off the leg and put it in the clock which stops the timer. The timing runs from the moment when the pigeons are liberated. Pigeons fly at fifty miles per hour with no wind. So, if they are liberating the pigeons at nine o ‘clock in Peterborough, you check the weather and, if the wind forecast is thirty-five miles per hour from the North, then you estimate it should take approximately two hours, which means the pigeons will arrive in Bethnal Green at eleven. Once you’ve worked out a time of arrival, you are waiting for them. I’ve stood at the back door looking to the North and everything that moves in the sky you go, “Come on, come on!” – if it’s yours or not. You look at your watch and then back at the sky. There’s nothing better than seeing one of your birds come out of the sky, when it folds to make itself small to become as fast as possible, because it wants to get home. As soon as it arrives, you go in the garden with peanuts to get his attention, so you can get the rubber band off and put it in the clock. I followed Albert into the shed to take pictures while he cleaned out the shelves and tenderly checking on those birds hatching eggs or nursing chicks, even holding up a tiny blind newborn chick in his large hand to show me, replacing it gently under its mother’s breast before it got cold, and then chasing the other pigeons outside to get some exercise. It is truly remarkable how these modest birds can navigate over great distances, and I was touched to observe the passion they draw from Albert, whenever the miracle is repeated, each time they fly home to him. Through pigeons, Albert in his small garden in Bethnal Green is connected to the wide landscape that the pigeons traverse to fly home and through pigeons Albert also is connected to the intense social life of the Federation of Racing Clubs, as the average for every pigeon accumulates through the season to arrive at a prize bird that can deliver a substantial reward. While we were talking in the living room, our conversation was interrupted when we saw a cat appear on the roof of the pigeon shed and Albert rolled his eyes, “Look at that creature! Where’s my rifle?” he growled. The last image is simply magical. Ha… imagine my surprise at seeing my old friend and club mate Albert in this article… I came across it by pure chance. I used to race in this club years ago… now only eight members… very sad. Well done Albert for keeping thing going… a true fancier and a genuinely nice man…. Dear sir. Could pass on this message to Raja Bashir London concerning a lost pigeon no.0753389463. I found the unfortunate pigeon upside down in my garden on Monday 21/08/17. It was laying upside down, injured. in my garden in Stratford, London. I kept it safe but it died of its injury the next day. I buried it in my garden.